Saints' Virgil van Dijk on bouncing back from Burnley defeat. Cédric on bouncing back from defeat to Burnley. Manager convinced Saints' luck will turn after dominant display goes unrewarded. Watch our full highlights from St Mary's. View our action shots from St Mary's. Manager feels Saints deserved better after Burnley defeat. The boss reacts to defeat against Burnley. Watch as Cédric speaks after defeat to Burnley. Cédric reacts to Southampton's 1-0 loss to Burnley. Substitute Vokes heads winner for Burnley at St Mary's. Pre-match quiz: Saints, Burnley, both or neither? Tackle our quiz ahead of Saints' clash with Burnley. Read what Sean Dyche had to say to the press about Southampton. Mauricio Pellegrino looks ahead to Burnley. All you need to know ahead of the visit of Burnley to St Mary's. Watch the manager's interview ahead of Burnley. Oriol Romeu on progress, Mauricio Pellegrino and Burnley. What can Saints expect from the visit of Burnley? Watch the boss speak with the written media. The manager gives the latest ahead of Burnley. Mauricio looks ahead to the visit of Burnley. All the stats ahead of Saints' clash with Burnley. It ends in disappointment for Southampton, after Sam Vokes headed Burnley into a late lead. Thanks for joining us today on Matchday Live. We'll be back with you after the international break. Saints had their chances, but a late header from Sam Vokes gives the Clarets all three points at St Mary's. A final change for Saints. A cross from the left is met by a sensational Sam Vokes header, which finds the bottom corner to put the visitors ahead against the run of play. 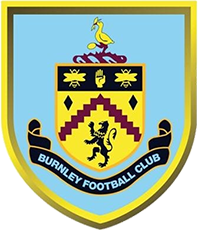 Great work from Steven Davis, who twists and turns just outside the area, shifting the ball onto his left foot, before sending in a shot that whistles just over the crossbar, with Nick Pope at full stretch in the Burnley goal. It's a second change of the afternoon for the hosts, as Long is sent on for the final 15 minutes. Time is running out at St Mary's here, as both sides seek what could be the winner. Can Saints find a way past Burnley keeper Nick Pope? Charlie's back out there! The striker replaces Manolo Gabbiadini, as Mauricio Pellegrino makes his first change of the afternoon. The visitors make a second change. A first change of the day for the visitors. A corner is flicked out of the area, where Steven Davis is waiting 25 yards out. He strikes the ball as it drops to him, but his volley ends up going well over. Burnley keeper Nick Pope has been in inspired form so far this afternoon, making big saves from Sofiane Boufal, Nathan Redmond and Maya Yoshida. The best effort of the day, as a corner breaks on the edge of the area, with Maya Yoshida swivelling and sending a volley towards the top corner, but Nick Pope makes a stunning, flying save to tip it over. A lovely cross from the right picks out Manolo Gabbiadini in a central position, but he can't make a solid enough contact with his header, seeing it drift wide of the far post. There are 30,491 people at St Mary's for today's match, which is sponsored by Domino's Southampton. Check out some of the images from the first half at St Mary's, where it's goalless at the interval. It's tight at St Mary's, although it's Saints who have looked by far the more likely to score, with Sofiane Boufal and Nathan Redmond both denied by excellent Nick Pope saves, while Ryan Bertrand has also been a notable threat down the left. It's a great run down the left from Nathan Redmond, who then drives into the area, but his low shot towards the near post is brilliantly tipped wide by Nick Pope. So close! He's been at the centre of a lot of good work so far, and Ryan Bertrand goes close to opening the scoring, as he works room on an angle in the area, only to see a diving James Tarkowski block his well-struck effort. Ryan Bertrand gets to the byline after an excellent one-two with Nathan Redmond, but his fizzed cross is well held by Burnley keeper Nick Pope. A better spell, this, from Saints. Nathan Redmond's cross from the right loops off a Burnley defender's head and falls to Sofiane Boufal in space at the back post. He strikes his volley into the ground, but keeper Nick Pope makes a superb save at his near post to turn the bouncing ball behind. Nathan Redmond shows an excellent turn of pace to drive past Burnley's Steven Defour 25 yards out and push on into the area, but he's slightly off-balance as he hits his left-footed shot, which flies over. Saints manager Mauricio Pellegrino has seen his side have plenty of the ball so far in this game. Dušan Tadić swings in a cross, which picks out the run of Ryan Bertrand, but his header under pressure loops over the bar. Sofiane Boufal slides a ball in behind the Burnley defence for the run of Manolo Gabbiadini, but keeper Nick Pope is alert to the danger. Pope slightly mishandles as he slides to gather the ball, but gets hold of it on the second attempt. Robbie Brady gets some space down the right flank and checks onto his left foot, before arcing a cross into the area. It's out of reach of striker Chris Wood, though, and drifts a yard or so wide of the far post. Having been a substitute for last weekend's 1-1 draw at Brighton, Maya Yoshida is back out there again today for Saints, alongside Virgil van Dijk at the heart of defence. An excellent ball in from the left from Ryan Bertrand nearly finds Manolo Gabbiadini in a great central position, but Burnley's James Tarkowski makes a superb sliding intervention to get the ball clear for the visitors. Both teams took part in a period of remembrance ahead of kick-off at St Mary's, including a poignant playing of The Last Post. The visitors launch a counter attack, ending with Johann Berg Gudmundsson cutting onto his left foot 25 yards out and firing goal wards, but he slices his effort a couple of yards wide. No chances for either side as yet, but Southampton are seeing plenty of the ball in the Burnley half, with Sofiane Boufal having started in lively fashion too. The players are out on the St Mary's pitch getting ready for today's clash with Burnley. i think burnley are a very strong team, tough to beat. in defence they are very good, but also on set-pieces and counter-attack. it will be a tough game, but we believe in our qualities. Mauricio Pellegrino makes a pair of changes from the side that drew 1-1 at Brighton last weekend. Maya Yoshida is in for Wesley Hoedt at the heart of defence, while Nathan Redmond comes back into the starting line-up, in place of James Ward-Prowse. Both Hoedt and Ward-Prowse are on the bench. Starting XI: Pope, Lowton, Cork, Tarkowski, Mee (c), Wood, Brady, Hendrick, Defour, Gudmundsson, Ward. Subs: Lindegaard, Vokes, Barnes, Westwood, Bardsley, Long, Arfield. Starting XI: Forster, Cédric, van Dijk, Yoshida, Bertrand, Romeu, Davis (c), Redmond, Tadić, Boufal, Gabbiadini. Subs: McCarthy, Hoedt, McQueen, Højbjerg, Ward-Prowse, Long, Austin. Not long until we find out who is in the Southampton line-up today! We'll have team news for you here at 2pm GMT! Manolo Gabbiadini is our feature interview in today's matchday programme. It's a great read, and you can order a copy yourself at saintsmagazines.co.uk. The Saints boss held his pre-match press conference at Staplewood this week. Check out what he had to say. it is a team that is comfortable when they don't control the ball, so we have to be patient and intelligent for reading the right situation. Take a look as the Southampton players made their way into St Mary's for this afternoon's game. We sat down with Oriol Romeu this week, ahead of Southampton's Premier League clash with Burnley. Watch our feature interview with the midfielder. Southampton's players have made their way into St Mary's, ahead of today's game, and our photographers were on hand as they arrived. Today is our annual Remembrance match, with the players wearing poppies on their shirts. Ahead of kick-off, there will also be a minute's silence, with a playing of The Last Post. Additionally, the match marks our All Saints Day tribute fixture, where we remember those people associated with the club who we have lost over the past 12 months. We've slightly morphed into something different away from home so far this season. it's important we remember that and reflect upon the performances we've had so far. We caught up with Mauricio Pellegrino on Thursday to get his thoughts on this afternoon's game. Hear from the Saints manager in the above video! We've had some good memories here against the Clarets over the years! Enjoy some of our strikes against them in this video!